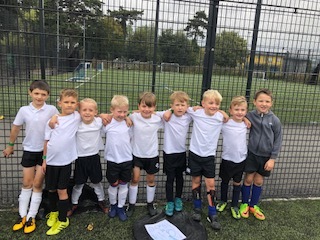 Recently, we had the pleasure of taking part in the Dartford District Schools Fast 5s Football Festival. Our dynamic team scored numerous goals and were victorious in all their matches! It was truly a delightful experience. A big thank you to all our parents and carers who came to cheer and support our team. We are really pleased with the start of the pond science project. So far we have managed to clean and clear the pond, remove all of the decking and get rid of much of the ivy and weeds, remove the internal fence and paint the friendship stop. 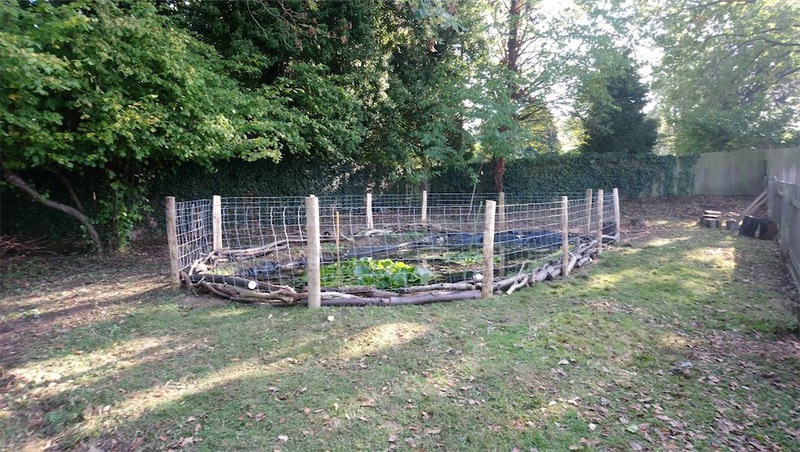 We have lots more of the forest floor to clear yet and the new fence for the pond area will hopefully be installed on Wednesday and Thursday of this week. If anyone is free and available to help with more clearing or installing the fence your help would be really appreciated. If you can’t donate your time please feel free to see the office for a list of things that we require to complete the science project/pond area. Your help is really appreciated. Thank you to everyone that has helped so far. We look forward to seeing you next week. The children are settling in to their new environment and exploring all of the new changes to the Year 1 classrooms. We have transformed the Year 1 classrooms into the Workshop (Willow), the Wonder Room (Oak) and the Discovery Room (Cherry) but not forgetting the exciting outdoor area. The children have been carrying out science investigations with a range of resources. They are beginning to use scientific language to become a real scientist. A popular area outside has been the wood work. Children are safely using new skills to build and create models which are secured by nails. Children have been advised to keep their models and build upon these every day. We have been continuing with helicopter stories and introducing more challenging language to make it more interesting to read. They have also looked at the work of Picasso and applied their new knowledge to make famous buildings in the Wonder room. As the autumnal weather starts to kick in, please can you send in your child’s wellies. 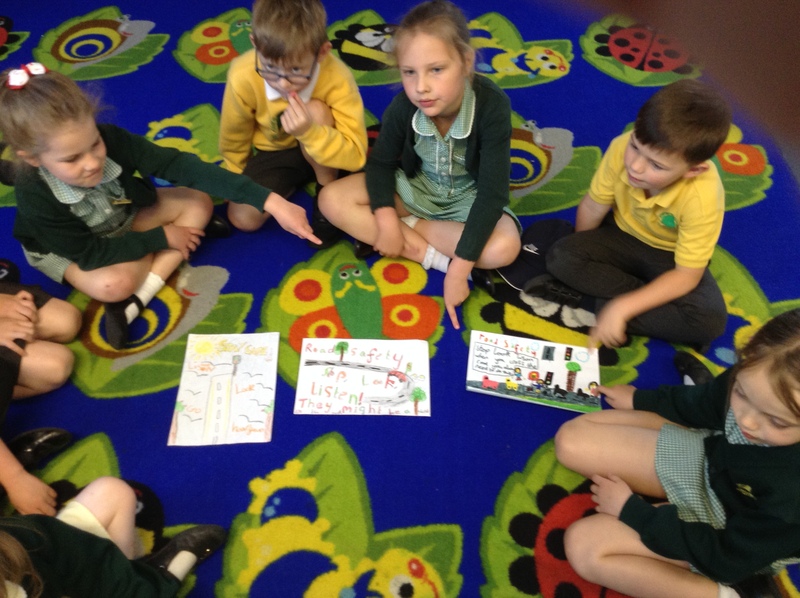 We recently ran a competition asking the children to design a poster encouraging road safety. The School Council judged all the entries and decided on the winner. 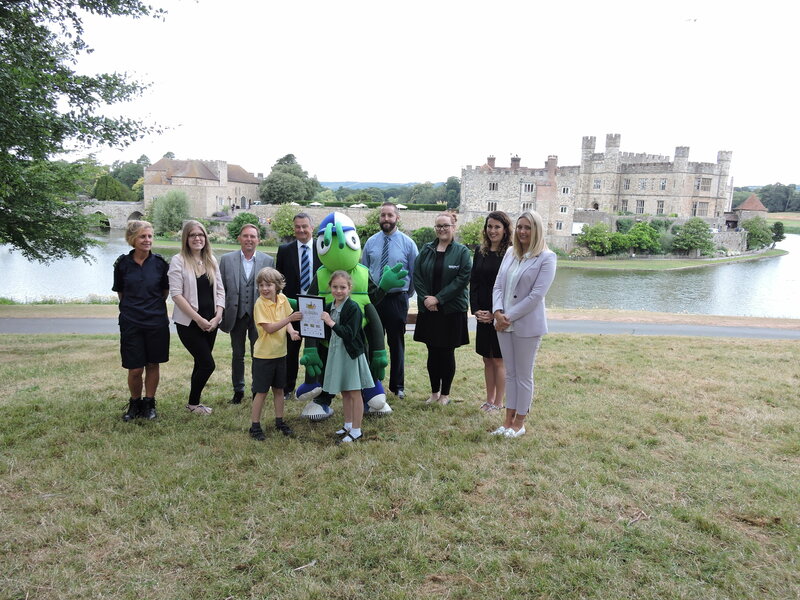 Ash class won the first Summer Challenge Day for Dartford District’s ‘Walk to School’ competition, run by the KM group. Two members of the class went to Leeds Castle to receive an award and everyone in the class won a ticket to Diggerland. Congratulations Ash Class! In English this week the children have been learning about persuasive writing. We have learnt how to take part in a conscience alley, whereby we have been giving the Fox advice on whether to stay in the den or go and look for the Star. From this we started to write our own persuasive letters to the Fox. We discussed how our letters need to be persuasive to encourage the Fox to either stay in the den or go look for the Star. Home Task – Can you write your own persuasive letter to a friend? In Maths this week the children have been looking at capacity and measure. The children have been exploring different sized containers and water. We have developed our capacity mathematical vocabulary, including full, half full, nearly empty and empty. From this knowledge, we moved on to comparing capacities. Home Task – Can you explore capacity in different containers from around your home? In Topic this week we have been learning about what effect different liquids have on each other. The children started our experiment by predicting what they thought was going to happen and drawing a diagram of the experiment. As groups, we then tested the experiment, whereby we put food colouring into milk, then used a cotton bud with washing up liquid and used this to put into the milk. The children were amazed to see that the cotton bud with washing up liquid was able to move the food colouring. We are fast approaching “My Money Week” commencing the week beginning 16th July, where all classes will take part in money based activities and begin to add up how many coins their class has collected. On THURSDAY 19TH JULY we will be finalising the amount per class and announcing the winner. The winning class will get a special prize! So dig deep into those pockets, have a rummage behind the sofa cushions and see if you can help your class be the winners of this year’s 20p challenge! In English this week the children have been learning facts about beetles. We have learnt that some beetles are as big as our hand, some change colour and some can emit gas that can burn their predators. From this we started to write our own riddles about beetles. We discussed how riddles are written in the first person and that riddles are a description of the animal itself. Home task: Can you write your own riddle for a different animal? In Maths this week the children have been studying repeated addition, grouping and arrays. They have been learning how we can group multiple objects in a variety of ways. They developed their understanding of putting objects into groups by looking at arrays. Arrays are an arrangement of objects in either columns or rows which help us to work out repeated addition sums and multiplication. Home task: Can you group your toys into multiple groups/arrays? In Topic this week we have been learning the skill to sketch before completing a piece of art work. We have looked at landscapes and what this entails, starting by using our skills to sketch our own landscape. The children were given an option of pencils, paint, pens, crayons and chalk to complete their landscape picture. ​After completing this they were able to add layers to their art work through the use of alternative media. For example, children who used paint were then able to add chalk or pencil on top to give the picture depth and detail. We are a singing school! After all the hard work our children have put into their singing this academic year, we have submitted the evidence and been awarded GOLD by the Sing Up Awards. The awards recognise and celebrate schools that put singing at the heart of school life, and we are very proud of our children!